Without a doubt, the cornerstone of all strength training equipment is the Body-Solid Heavy Duty Adjustable Bench GFID-71 and nothing comes close! 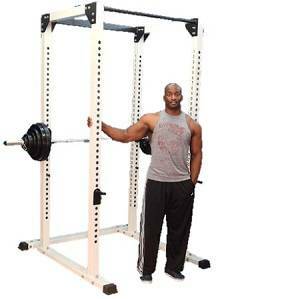 The heavy-duty 2" x 3" steel frame can easily handle a load capacity of 1,000 Lbs. The back and seat pads lock into eight positions to align your body for perfect posture in all your exercises while the ultra-thick DuraFirm upholstery supports you comfortably through the most intense workouts. 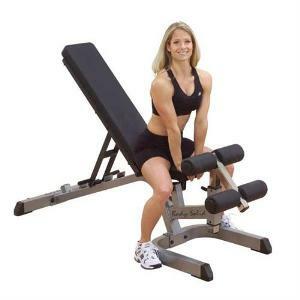 Lock your legs in the T-Bar Leg Hold Down featuring oversize rollers for extra comfort and stability while you perform upper and lower abdominal exercises as well as incline and decline strength training. Convenient casters let you move the Body-Solid GFID71 Bench effortlessly in and out of any rack for the ultimate in versatility. Full 2.75in thick DuraFirm Pads will never bottom out. Lifetime and Full Commercial Warranty.